Plays are built on dialogue, so perhaps it’s unsurprising that theatre folk love to talk. Whether there’s a crisis to tackle or an anniversary to mark, the default seems to be: arrange a panel event. But does this stimulate progress or substitute for it? Too often these are cop-outs for companies that should do more. Events that foster reflection and debate are, in themselves, good. It’s crucial theatre interrogates itself – only through this can meaningful headway be achieved. 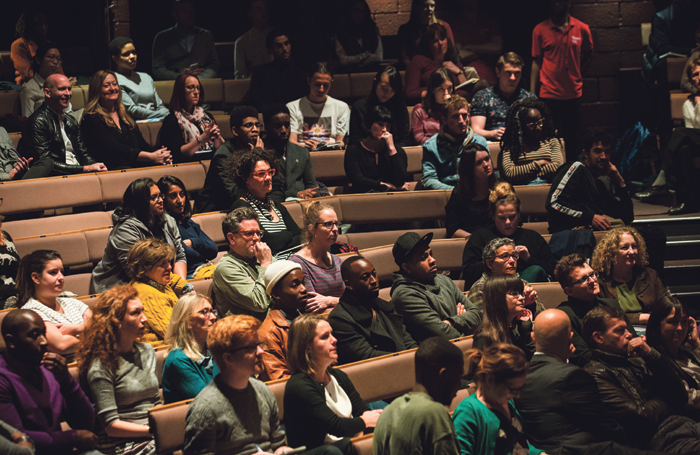 Recently, platform events from Act for Change  to No Grey Area have helped challenge and change the inaccessible, unrepresentative or abusive systems that underpinned theatre for too long. With a disproportionate number of theatre’s decision-makers white, male and privately educated, these conversations highlight issues that might otherwise go unaddressed. If a symposium inspires one company to better support artists or audiences, it serves its purpose. But there’s a danger that so much talking can be mistaken for action. Platform events are useful if they facilitate change or bolster good practice, but not as navel-gazing exercises for insiders. Those asking the questions must listen to the answers. There’s a risk of ‘gesture politics’. Platform events are easily arranged, might earn a few column inches, can even rescue a reputation. Subsidised companies may tick boxes by tossing in a few Q&As rather than genuinely prioritising access, representation or diversity. To guard against this, certain conditions should be attached to events. Every participant should be told what changes can be expected and when the impact will be visible. These principles informed the recent changes made by my company, Papatango. To respond to the dearth of support for writers, in 2016 we committed to give free feedback to our 1,500 annual script submissions. In 2017 we launched GoWrite, to offer free training to playwrights, performances or bursaries to more than 4,000 people nationwide, from schools to community centres to regional venues. With two full-time staff and no regular subsidy, these were not easy decisions. GoWrite costs a fortune: it’s the difference between producing two or three shows a year. We made these commitments because surveys revealed that many of our target participants or artists struggle to access resources. They spoke, we listened, our work changed. Organisations such as the New Diorama Theatre , with its funding schemes and accessible programming, or initiatives such as Open Door, supporting diverse applicants to drama schools, show what can be done. Small organisations are picking up more than their fair share of the slack. Perhaps it’s easier for us to respond nimbly and swiftly, but the suspicion lingers that some of our more established and better-subsidised organisations prefer non-committal discussion to action. Access and representation must be priorities, not just talking points. While it’s good to talk, it’s better to listen – then act.